A handful of Indians opened up their campaign to all and took on Facebook Free Basics in a witty campaign to protect net neutrality. Across India, concerns about net neutrality and the future of the Internet arose even before Facebook and its founder, Mark Zuckerberg, began an intense marketing campaign in 2015 in support the company’s Free Basics program. A self-organized group of Indian volunteers from diverse academic, civil society, and professional backgrounds used open source software and open campaign principles to focus opposition from Indian society. With little money, but creative and collaborative thinking, they developed a powerful, decentralized movement that beat Facebook and preserved net neutrality in India. Campaigns on Internet issues aren’t new to India. In early 2015, a campaign called on leaders to end Article 66A of India’s IT Act, which let police arrest people for posting to social media. India’s Supreme Court struck down the law a year ago. But nothing had come close the scale of or engagement in the #SaveTheInternet campaign. The most visible symbol of this threat to net neutrality was Facebook’s Internet.org initiative, later re-branded Free Basics. Framed as a philanthropic endeavour, Internet.org/FreeBasics is a key part of the company’s growth strategy. It’s stated goal: provide Internet access to the world’s unconnected billions. India has more peoplewithout an Internet connection than any other country. Critics saw Free Basics as an overt attempt by Facebook to “colonize” the Internet by forcing users online through a limited, Facebook-centric web. It presented, they said, an overt and dangerous violation of net neutrality. 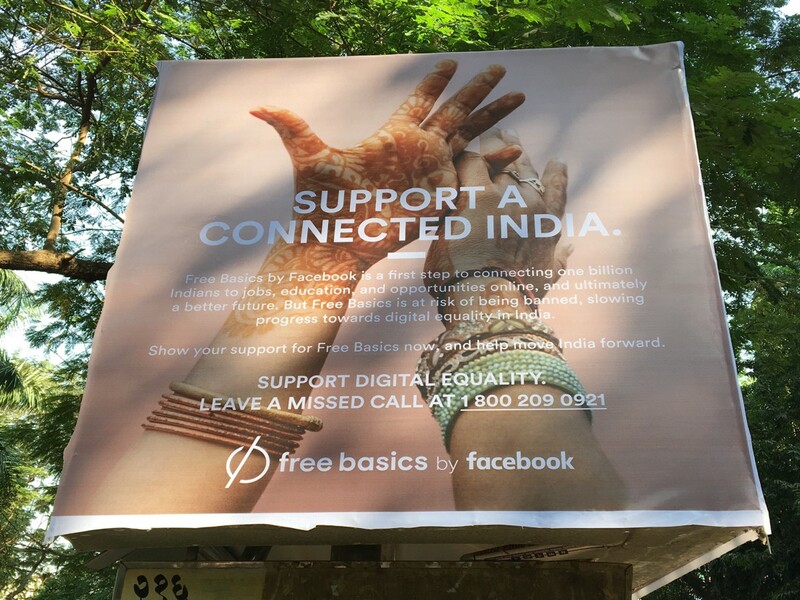 A billboard in support of Facebook’s FreeBasics program which was rejected by Indian officials in January, 2016. The catalyst for the campaign was a 118 page paper released in March of 2015 by the Telecom Regulatory Authority of India (TRAI), an agency in charge of regulating the Internet in India. The paper, which was heavily skewed in favor of Facebook and big telecommunication companies, immediately alarmed activists. 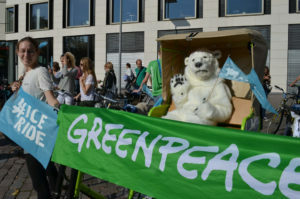 Activists (and soon to be activists) connected informally through existing networks, often reaching out to each other on Twitter and email. 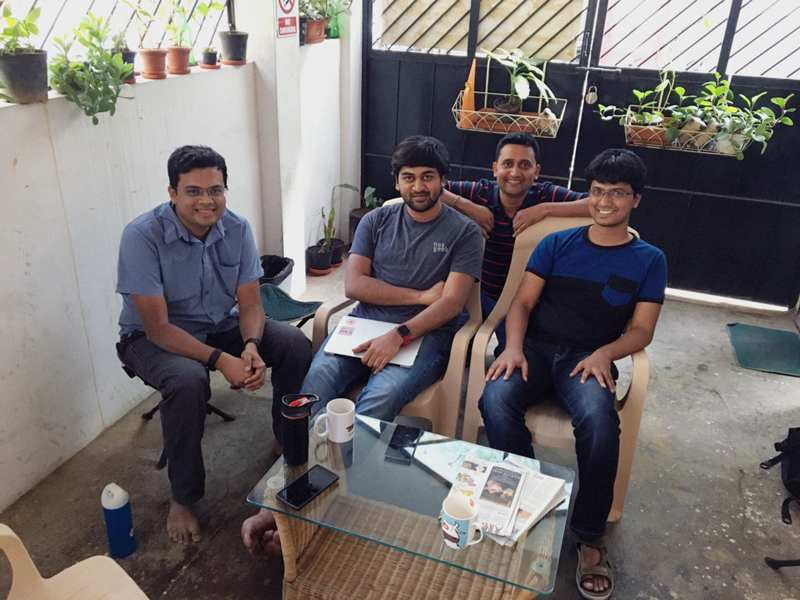 SaveTheInternet.in volunteers (from left) Kiran Jonnalagadda and Karthik Balakrishnan of HasGeek; Amod Malviya, former CTO of Flipkart; and Aravind Ravi-Sulekha, founder of Hey, Neighbor! 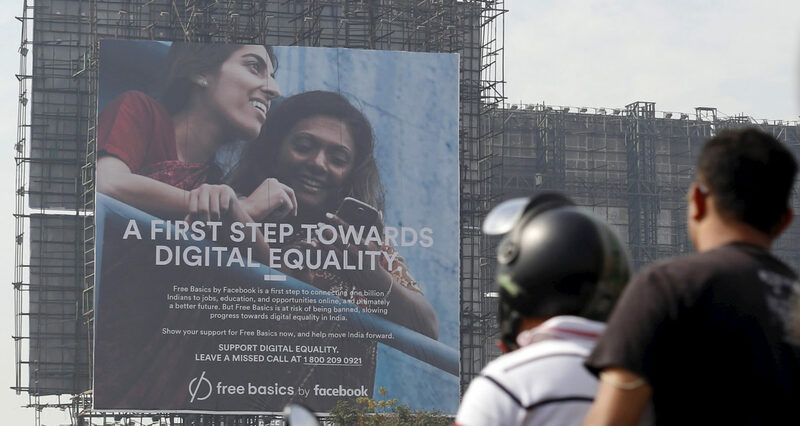 Photo via How India Pierced Facebook’s Free Internet Program by Lauren Smiley. The team was dynamic, interdisciplinary and international, with Indians living abroad also contributing. Internally, Slack formed the basis of communication, and Google docs were used to collaborate on content. What connected everyone was the core issue – that net neutrality was crucial to India’s future, and must be preserved. But for the most part, each organization and volunteer had the freedom to develop their own messaging for their own audiences, leading to a diversity in voices. Make end goal the focus. Preserving net neutrality providing the core focus for organizers and the loose organizational structure limited internal conflicts and debate. Build diverse alliances. Had the campaign remained, as it first started, among the tech start-up community, it likely would have failed. By reaching out and involving comedians, journalists, and academics, they were only able to reach out to different audiences, but also able to refute opponents claims that they only represented elite interests. Open up messages for different audiences and people. It is hard to develop a single message for a complex issue like net neutrality. A diverse team allowed different messengers to independently reach people as varied as start-up founders and economists. Don’t antagonize the target. The initial TRAI paper could have allowed activists to see them as an enemy. Instead, working with and listening to the TRAI allowed the coalition to take the high ground. That approach cast a stark contrast compared to Facebook’s more confrontational tactics. “There was no centralized message being disseminated,“ said Mishi Choudhary, Executive Director of the Software Freedom Law Centre (SFLC). “ There was some loose coordination, but we all knew what the basic principles, and everyone’s styles of communication was different.” Members were free to message their audiences, purchase advertising, or do lobbying independently. For example, one idea came from a successful, years-long campaign in the United States where, just a month earlier, the Federal Communication Commission ruled in favor of net neutrality. Organizers in India saw the impact that comedian John Oliver had using clever analogies and humor to take a complex issue like net neutrality and make it digestible to a general audience. In India, organizers worked with the popular comedy group All India Bakchod, to make a web video about the TRAI paper. It went viral, and brought the issue of net neutrality to a far wider audience than would have been otherwise possible. Twitter amplified this as celebrities and politicians alike retweeted and commented on the video. Following this approach, the SaveTheInternet website was a simple static page. The site was open source and hosted on GitHub, allowing any volunteer to contribute code. This was a shift from previous campaigns, which had relied on proprietary platforms like Avaaz and Change.org. “We wanted to make it a transparent process, and allow people to have control of what they are sending,” said Ashar. Knowing that the team could not afford an expensive mail server, they set up a simple, static page that focused more on content than fancy tools. It was not easy – people had to spend time on the site, go through the content, make their submission, copy it to their own email and hit send. Though this flew in the face of the conventional wisdom that online activism must be simple in order to be effective, it worked. By presenting a powerful case for net neutrality, along with the presence of Facebook as a polarizing force, the end result was an estimated 500,000 messages sent to the TRAI in support of net neutrality. Nearly all of them were unique with constructive comments. Personalized messages from Indians gave the campaign authentic power. When Facebook realized it may lose, the company went on a massive marketing push, buying billboards and newspaper ads in major cities across India. Facebook also used its platform and Free Basics to generate massive numbers of auto-generated messages from its users, some of whom had no idea what they were doing. The TRAI did not find this tactic amusing, and neither did the Indian public, who found the marketing campaign overly pushy and condescending. This swayed the debate in favor of net neutrality activists. In early February of 2016, TRAI’s final decision was a marked shift from the paper that had been released a year prior. Facebook’s Free Basics program, as of last notice, is no longer available in India. Nikhil Pahwa, one of the public faces of the Save The Internet campaign, made waves when, at the Global TED Conference, he announced the formation of the Internet Freedom Foundation, which would fight for a free, open Internet in India. This is the latest sign that the movement for the future of the Internet is not finished – and, in fact, is becoming particularly relevant as India undergoes a wave of Internet shutdowns and free speech violations due to civil unrest in numerous regions. In fact, the tools developed during the campaign are already being used by others. Since they were all open source or creative commons, they are available for anyone. For example, a campaign to prevent pollution in Mumbai, is basing its website on the SaveTheInternet campaign. “It’s great to see that these tools have found a place in public participation in certain way, via Github,” said Ashar. The campaign for net neutrality is global. Beli B, a policy activist and volunteer on the campaign, believes that the tactics used in India can work anywhere, as long as organizers stick to a few basic principles. “Form a multidisciplinary team, of local origin if possible, be civil, focus on issues, and don’t be suckered into politics,” said Beli. Because net neutrality, at its core, is a universal issue, there is also an opportunity for global learning. Regulations, tactics, and structure of campaigns in countries where Free Basics still operates, such as Indonesia, will be different than India. But there is much that the campaign offers other, including how Indian campaigners borrowed tactics, such as the use of comedy, from the U.S. net neutrality fight. Open source platforms, and open information are key in spreading that knowledge. 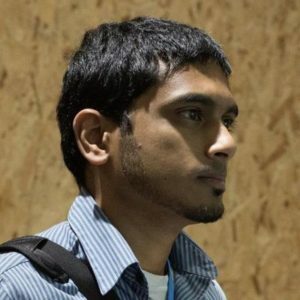 “My organization always uses creative commons licenses,” said Choudhary. “We want to encourage free distribution, because sharing is how collaborative innovation works.” SFLC is currently working with organizations in Latin America and Kenya, and hope to do more global work around Internet issues in the future.